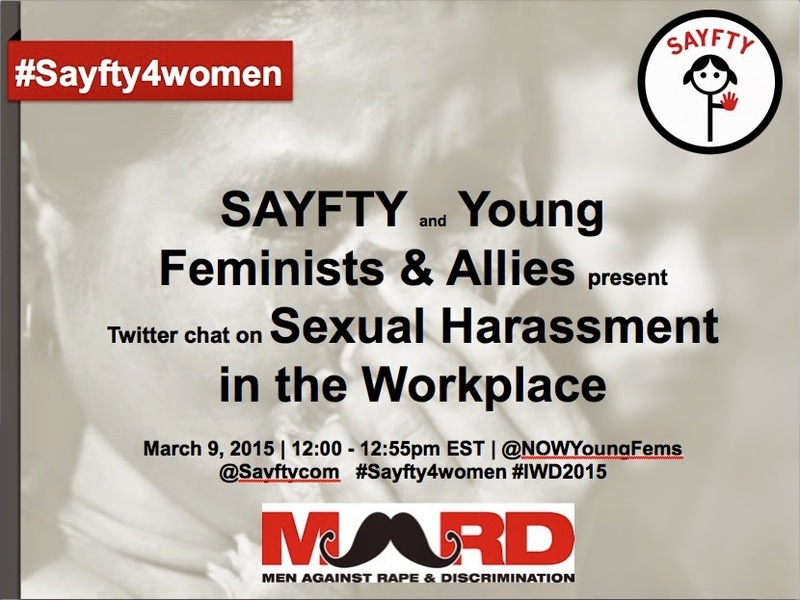 NOW Young Feminists & Allies will be joining Sayfty for an International Women's Day 2015 Tweetathon. We will be discussing the issue of sexual harassment in the workplace starting at noon on March 9. Please join us as in talking about how this issue impacts young women in the US and around the world, and how we can create a safer world for all women.